WARSAW, Feb 1, 2015 – The European Federation of Journalists (EFJ), the European Centre for Press and Media Freedom (ECPMF) and the International Press Institute (IPI) completed a two-day fact-finding mission to Poland by calling on Polish journalists to stand together in defence of principles of press and media freedom. 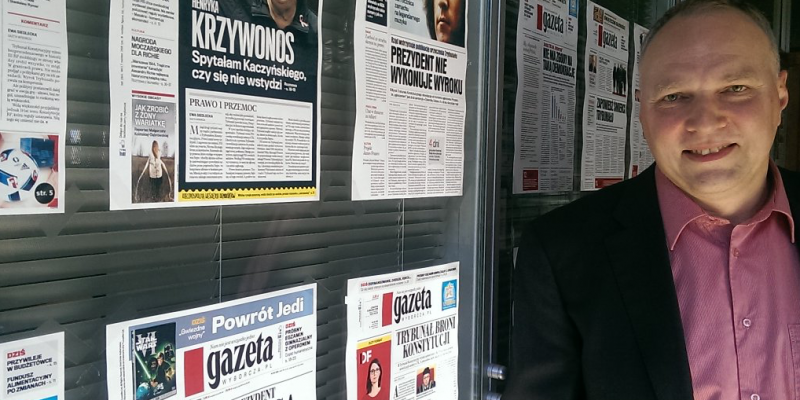 The group’s call came after the newly elected Polish government rushed through controversial changes to the country’s public service broadcaster that have deeply divided the journalistic community. The changes, in the form of an amendment to the Media Law, allow the Minister of State Treasury to directly appoint and dismiss at will members of the broadcaster’s supervisory and management boards. Passed by the Parliament in a late-night sitting in December and signed by President Andrej Duda on January 7, the amendment has sparked international concern and protests across Poland over what critics see as the removal of checks and balances necessary to guarantee the broadcaster’s independence. The amendment is set to expire at the end of June and the government has announced plans to pass a new media law. Numerous observers view this process as part of a series of significant and systematic legislative changes – including a recent measure curtailing the power of the Polish Constitutional Court – that challenge democracy and pluralism in the European Union’s sixth-most-populous member state. 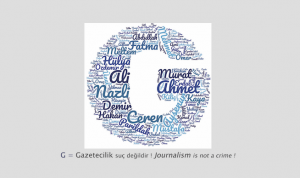 Since the changes took effect, dozens of journalists working for the broadcaster have been dismissed or resigned in protest at the perceived government interference. Several journalists met by the group alleged that their names had been placed on a blacklist by the current governing party to be targeted for dismissal. Mission delegates met with a wide range of actors among journalists, lawyers and civil society activists, including representatives of Poland’s leading journalist associations. While many journalists consulted saw the amendment as anti-democratic and the first step in turning the public broadcaster into a government mouthpiece, others welcomed the changes, claiming that the previous government had also used public television and radio as a political tool to advance its agenda. Indeed, the group also met with journalists who had been dismissed from the broadcaster under the previous government due to alleged political interference. This group of journalists also emphasised that the new regime at the broadcaster had brought back secure staff employment for journalists after a period when their jobs were outsourced. The group also met with journalists who had been dismissed from the broadcaster under the previous government due to alleged political interference. “We recognise that Poland’s public broadcaster has for many years been seen as a political pawn and a prize for the governing party,” the group said. “This must stop. Nevertheless, past wrongs do not justify the passage of legislation that conflicts with international standards for press and media freedom. The amendment clearly falls short of these standards and represents a step backward for public broadcasting in Europe. The current Polish government should take a courageous stand and use the opportunity of drafting a new media law to guarantee public broadcasting independence for future generations. The current Polish government must frame the new media law in compliance with international standards on public service broadcasting. These standards demand the inclusion of measures to secure independence in public service broadcasting governance and the highest level of journalistic ethics in support of the public’s democratic right to balanced news and information on topics of general interest. Journalists throughout Poland – including members of both the SDP and the SDRP as as well as the Society of Journalists – should seek common ground by reducing politicisation and maintaining a focus on journalism, press freedom and working conditions. A suggestion could be to unite to form a regular trade union in addition to the organisations that exist today. Journalists and editors should consult international organisations to help them to implement international standards in media in general and public media in particular. Public and private media should develop cooperation on standards concerning ethics, independence from government interference and press freedom. European institutions such as the European Union and the Council of Europe should not only closely follow the situation as regards Polish media legislation but also react firmly to deviations from human rights norms in accordance with the EU Charter of Fundamental Rights and interpretative documents such as the Report of the High Level Group on Media Freedom and Pluralism. Participating in the mission were EFJ President Mogens Blicher Bjerregård; ECPMF Project Manager Jane Whyatt; and IPI Director of Press Freedom Programmes Scott Griffen. 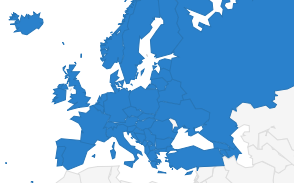 The European Federation of Journalists (EFJ) is the largest organisation of journalists in Europe, representing over 320,000 journalists in 68 journalists’ organisations across 42 countries. 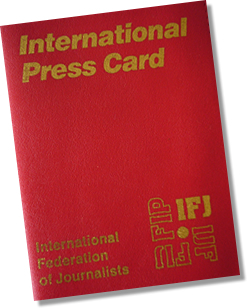 The International Press Institute (IPI) is a global network of publishers, editors and journalists dedicated to the promotion and protection of press freedom worldwide. Based in Vienna, IPI has members in more than 120 countries.